I once was deluded enough to think I could be a translator of Japanese into English. I’d studied Japanese in college, lived in Japan for a year, visited many times, and had acquired various sleeping dictionaries in the form of Japanese native speaker boyfriends and husbands. But it was not to be. My feeble attempts at translating technical documents and even a magician’s handbook gave me nothing but headaches. And the tedious hours I spent trying to complete this work had me making the equivalent of about twenty-five cents an hour. Translating dry, technical material was difficult enough, but I could never imagine translating a work of fiction; not only getting down the accuracy of the story, but the unique voice of the writer. Of course I have read all of my favorite Japanese authors—Haruki Murakami, Junichiro Tanizaki, Banana Yoshimoto—in English translation and have been grateful to the wonderful and talented translators who have presented their work so I can access it. Even more daunting is the translation of poetry, which brings me to a beautiful book of poems translated from Japanese by Shogo Oketani and Leza Lowitz, called America & Other Poems. With their exquisite translations, Oketani and Lowitz have brought the Japanese poet Ayukawa Nobuo, who up until now has not been well known in the U.S., to a whole new audience. Ayukawa was born in Tokyo in 1920. As the son of a man who published a nationalist newspaper, he always had a longing for democracy and a fascination with America. Through his poetry he took the social responsibility of expressing an anti-war sentiment, and believed Japan should accept responsibility for its actions in World War II. Many of his poems reflect the conflict he felt in being sent to Sumatra in 1943 as an unwilling soldier of the Japanese Army. Along with these moving poems (which are not all about war), in the preface and afterward written by Oketani we learn about Ayukawa’s life (he died in 1986 in Tokyo while playing his favorite Super Mario Brothers video game), and the possibility that one reason why Western scholars of Japanese poetry of the past were not attracted to his poems was because Ayukawa’s images are concrete, more in a European style, as opposed to subtle and vague, which is more the style of traditional Japanese poetry. America & Other Poems was the winner of the Japan-U.S. 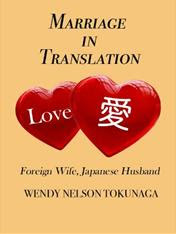 Friendship Commission Prize for the Translation of Japanese Literature. The book can be ordered from your favorite bookstore or purchased on Amazon.